Preheat oven to 175°C/350°F. Grease and flour a loaf pan. Add butter, sugar, vanilla extract, and salt to a bowl and beat with a hand mixer until fluffy. Beat in eggs one at a time. Add lemon zest, lemon juice, and Greek yogurt and mix to combine. Mix flour and baking powder in a separate bowl, then add to butter-egg mixture and stir to a smooth batter. Transfer batter into the prepared loaf pan, smooth out the top, and bake at 175°C/350°F for approx. 55 min. Remove from the oven and let cool down in the pan for approx. 15 min. before removing it from the loaf pan. Let cool completely on a wire rack. Add confectioner’s sugar and remaining lemon juice to a bowl and mix into a thick frosting. 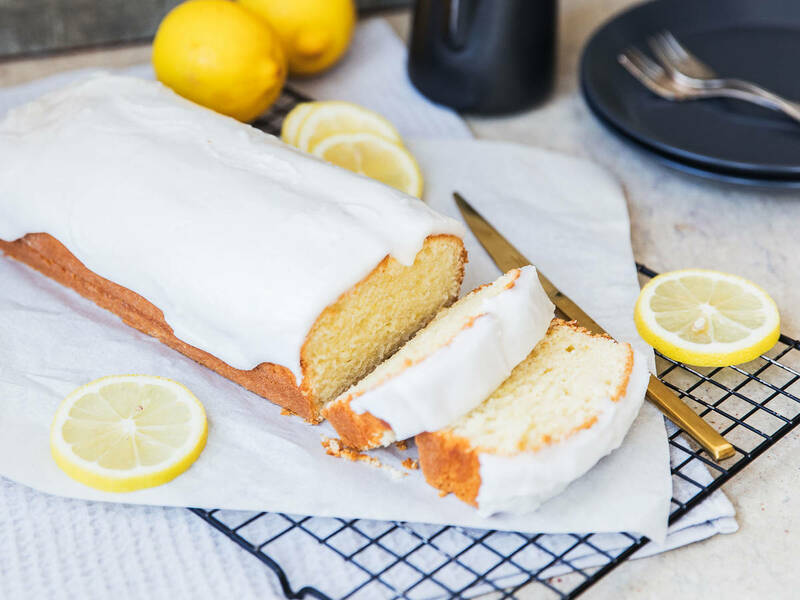 Spread the frosting on the cooled lemon cake. Enjoy!